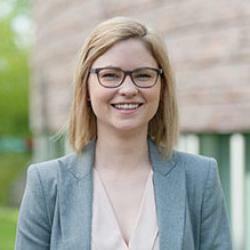 Viktoria Boss has been a doctoral student under the supervision of Prof. Christoph Ihl at TUHH Hamburg since 2014. She obtained her Bachelor’s and Master’s degree from RWTH Aachen in Business Engineering and Material Sciences in 2012 and 2013. She also holds a Master’s degree from Portland State University in Technology Management. Her PhD thesis centers around the formation and composition of different teams; both in the fields of entrepreneurship and sports. Her previous research includes work on ideation contests using an experimental setup.